The astronaut and engineer Alfred Worden (or Al Worden) was a leading pilot and participated in the Apollo 15 lunar mission in 1971. He was the pilot of the Command Module of the same mission, as well as being one of the 24 people they went to the moon Who better than him to reveal the best kept secrets of space missions. Worden also has a Guinness Record for being the “longest isolated human being” because of the long time he spent alone in the Endeavor Module Command. While speaking to Good Morning Britain , Al Worden, the astronaut who flew around the moon 75 times, and spent six days in orbit around our satellite, was asked if he thought the aliens were real. The answer probably surprised everyone who watched the interview. Al Worden was an astronaut who traveled to the Moon in the Apollo 15 mission. The former Apollo 15 member said that not only aliens are real, but they came to Earth from far away and created our civilization, and if we wanted to look for evidence, all we had to do was look at ancient Sumerian literature . 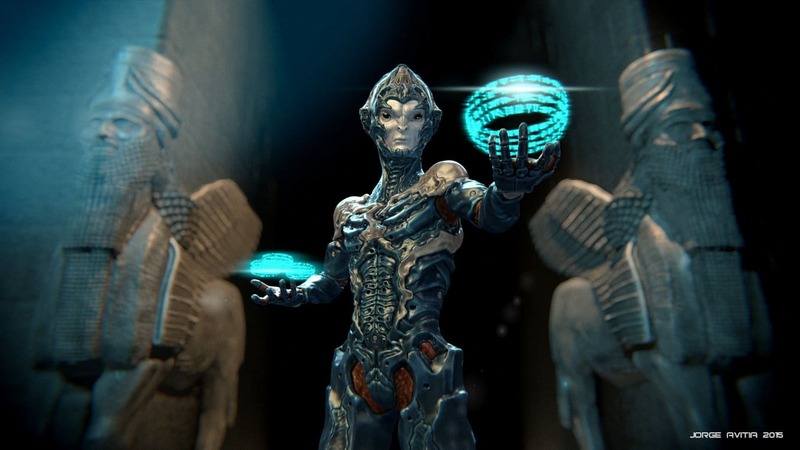 It should be noted that not only ancient Sumeria has evidence of ancient space visitors, other cultures have also mentioned beings from the stars that created man and gave him a lot of knowledge. Our origin is in the sky, in the stars.